We Are Committed To Excellence…Because We Care. 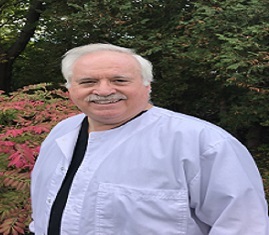 Robert E. Day, DDS, FAGD - Born and raised in Texas, Dr. Day practiced for 25 years in Houston and felt the need to come to Maine and Camden, a place he has vacationed for 25 years. He graduated from Stephen F. Austin University in Texas with a Bachelor of Science degree in 1978 and received his Doctor of Dental Surgery degree from the University of Texas Dental School in 1982. Dr. Day received the prestigious Fellowship Award from the Academy of General Dentistry in 2005. This award is given to Achieving Fellowship in the Academy of General Dentistry (AGD) and is one of the few added distinctions a general dentist can achieve. To earn Fellowship in the AGD, dentists must take more than 500 hours of educational courses in various disciplines. Candidates must also pass a rigorous exam. The award is then presented to general dentists in a formal ceremony. Dr. Day is one of only 7 percent of general dentists who have achieved this honor. He has 2 children, Bryan and Lindsey. They enjoy music interests, singing, traveling, outdoor activities and computers. Dr. Day and the staff have a combined 173+ years of dental practice experience to serve you and your dental needs. I just wanted to let you know that of all the offices I have been to, dental or medical, yours has been the friendliest, kindest & most pain free. Every single staff person, from the initial phone call to the front desk greeting to the friendly chat of the hygenist to the smile of the doctor made me feel appreciated and at ease. I especially appreciated how understanding you were of my fear and how kind your assistant was in stroking my brow & making sure I was free of pain & fear. Thanks to you, no more dread of going to the dentist! I highly recommend you to everyone & appreciate the recommendation that sent me to you in the first place. Thank you all very much! Thank you so much for your kindness and good care on my recent visit. It means a lot to have such caring and kind staff. Thank you all again and I will see you on my next visit. I want to commend Dr.Day on his excellent service. I haven't had such a great Dentist for 30 years, and four different states! Dr. Day is professional, gentle, thorough and quick. His staff is always friendly and efficient, as well. Altogether, they are a winning team! I want to let everyone at your office know that I am so lucky to be a patient at your dental office. When I came into the office I was scared from my past dental experiences, but with the support from everyone in the office and the special care from Dr. Day everything turned out great. I recommend Dr. Day's office to those looking to either change dentists or looking for a dentist for the first time. My whole family are patients! Best visit I have ever had. Thank you so much for your kind welcome note. What a pleasure to receive it and to join you and your excellent staff for my dental work. Thank you for the kind note of welcome to your practice. I am already the grateful beneficiary of your skillful attentions and look forward to working with you and your office. With great respect and all good wishes, and again, thanks.